This project involved a land subdivision for the development of the third stage of the Rosella Highlands Estate on Meringandan West, northwest of Toowoomba. The project was developed by Churches of Christ in Queensland with the assistance of Tract town planners and Bligh Tanner. The third stage consisted of the infrastructure design and construction for the development of 33 new low density lots. 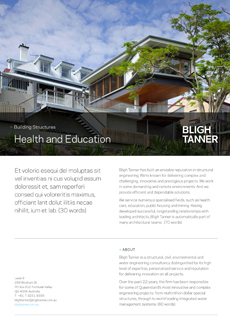 Bligh Tanner was engaged to complete the design of the roads, stormwater, sewer and water infrastructure to service the new lots and to manage the tender and construction process. The third stage of construction was successfully completed in July 2014, with Bligh Tanner currently working on the next stages of the development that will add more than 200 lots to the estate to service the requirements of this growing community.